State Tournament Registration Now Open! Registered individuals and teams will compete in Novice, Junior Varsity and Varsity individual classifications. All teams will compete in a single classification. 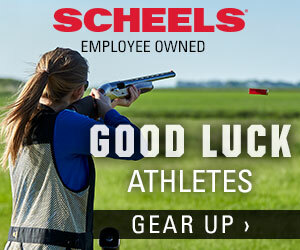 The student athlete cost for each event is $25 and includes 100 targets and official State Tournament t-shirt. Student athletes are responsible for providing their own ammunition. The athlete’s average score upon the completion of Week 5 will used for determining their individual competition classification of Novice (0-14.99 average per round), Junior Varsity (15-18.99) or Varsity (19-25). The team competition will use the total of the team’s top 5 scores regardless of classification assignments. 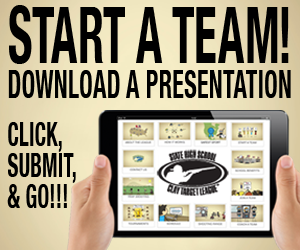 A minimum of 5 student athletes are required to participate in the team competition. Talk to your coach to register and be added to your team’s roster! The deadline is May 15th! Location: Aberdeen Gun Club – Aberdeen, SD. SPT Mobile App Now Available!